Any day is a good day for a dirty vodka martini. June 15th is an exceptionally good day. It’s the day I remember a man named Jeffrey. Most called him JD. He was my husband’s dad. I called him Jeff. He just referred to me as “the girl”. He was funny and crazy and I miss him all the time. 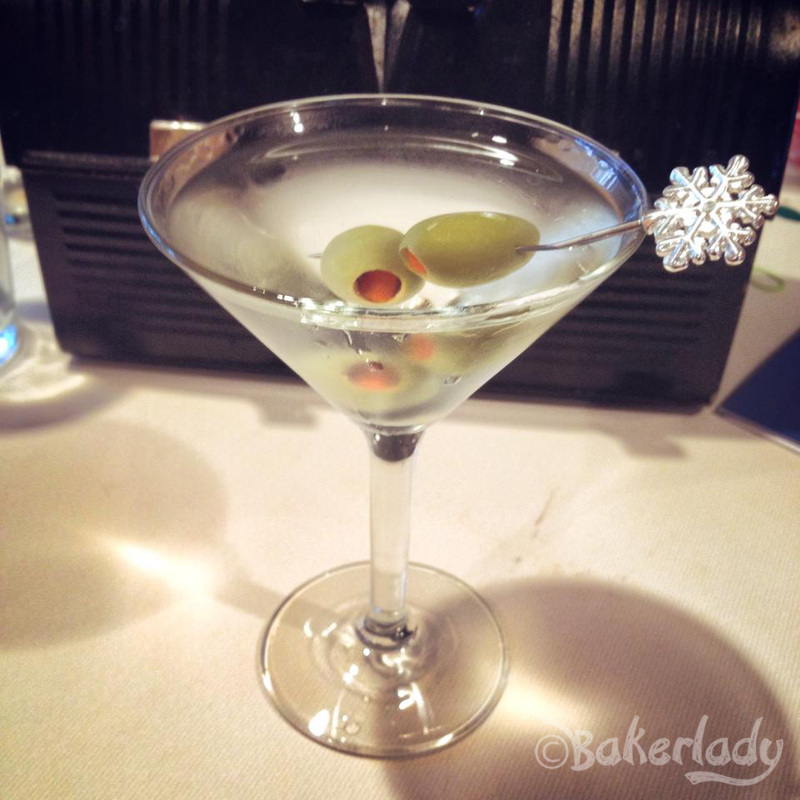 My father-in-law used to say “Drinking a martini is just an excuse to eat olives.” He was right. 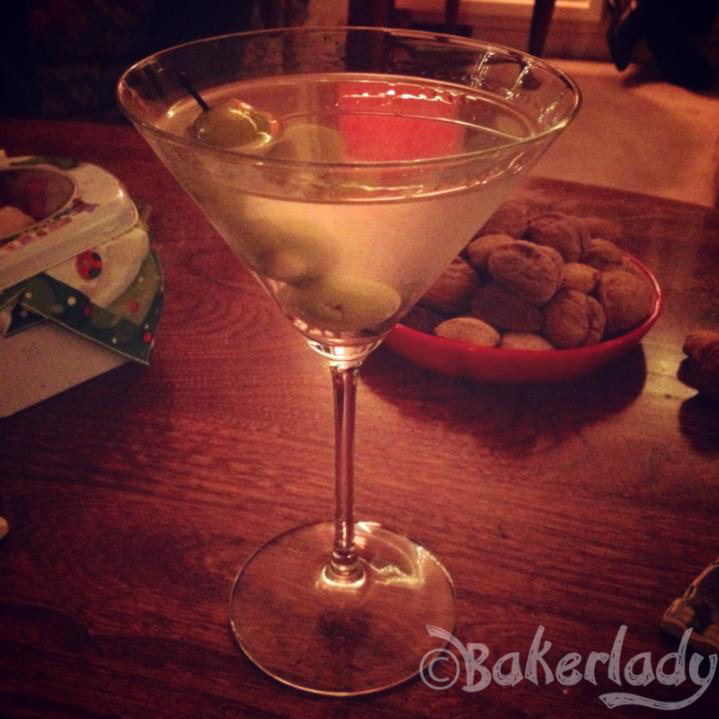 On New Year’s Eve a few years ago, my husband suddenly remembered that his dad loved a good dirty vodka martini. He begged me to make him one with the blue-cheese-stuffed olives from the “party-all-night” table spread. Then declared his undying love for me, vodka and olives when I served him this. Pardon the low light. I figured I should show you a picture (even if it is a bad one) with the three olives. Since that’s how many there should be. Three. Generally speaking, you should swirl them around in the vodka goodness after it’s poured over them. Then bite off the bottom olive and enjoy the brine-y deliciousness before even indulging in the martini. Which is why the first picture only has two olives. One has already been devoured. Because drinking a martini is just an excuse to eat olives. Cheers. In a mixing shaker, over ice, combine vodka, dry vermouth & brine. Shake to combine & strain into a chilled cocktail glass with three olives.